One Sentence Synopsis: The final battle is here, and Tom calls on old allies to face down enemies and try to defeat the Fiend for good…but to do so he will have to sacrifice what he loves most in the world: Alice. After several detours, Joseph Delaney finally returns to his protagonist, Tom Ward, in this 13th and final book in The Last Apprentice series. As I mentioned in my review of the previous book, I am Alice, I’ve grown quite tired of this series, but now the end is nigh and I can put this series to rest. As I also mentioned before, I don’t think there are very many people who are still paying attention to this series, but I did manage to find a couple of reviews, which I’ve summarized below, and after that are my own thoughts, which are chock full of big spoilers. That’s necessary because I can’t really give an honest review without exploring major plot points. If you don’t want spoilers, it’s probably best to skip to the last paragraph, where I summarize the book and the series in whole. For a good synopsis of the story, check out this post by Awake At Midnight. I have many problems with Fury of the Seventh Son, but I will start with the positives. It was a very quick read, I blazed through over 400 pages in 4 hours. The pages are small, the print is large, and Delaney’s writing style is bare bones and he keeps the plot and action moving. In the first one-third of the book, Tom is on his own and has tracked down the stolen head of the Fiend to an ominous tower in a neighboring county. The tower is full of witches and a dark mage, and Tom has to figure out how to get inside and retrieve the Fiend’s head before it can be re-attached to the body and bring the Fiend back to life. This scene involving the tower is tense and dramatic, and is some of the finest writing yet from Delaney…it harkens back to events in Wrath of the Bloodeye, where I said Delaney had achieved a milestone. The tower scene is close to recapturing that high point. Such milestones have always come when Tom is completely alone. And that’s it for the positives. As described above, Alice’s character, who we just had a whole book devoted to, completely and suddenly changes. It makes absolutely no sense – Delaney spends very little time exploring the abrupt change (in fact it is told from Grimalkin’s limited viewpoint) – and this shallow characterization is completely at odds with what was developed in the previous book. Yes it was clear that Alice’s journey took her close to the Dark, but manner of the change and the romance that immediately blossoms between her and the dark mage Lukrasta (who was supposed to have died in the Doomdryte ritual but is still alive – really?! ), seems unbelievable and exists only for the sake of the plot, considering how Alice has always felt about Tom. The purpose of I Am Alice was to retrieve a blade that Tom needed for the ritual to destroy the Fiend, but because the ritual is not performed, it negated the entire plot of I Am Alice, and that book now simply exists as a means to get Alice closer to the Dark. Boooo. Grimalkin’s character is relatively consistent, and there’s a great scene where she has to repair her broken leg using a silver pin, which causes her great pain. John Gregory has become weary and senses his time is short, which is believable. But Tom’s characterization is probably the worst of the book. With Alice’s turn to the Dark, Tom becomes jealous, angry, and as whiny as a lovesick puppy. This was incredibly annoying to read, especially after we’ve waited so long to return to Tom as a protagonist. This section is going to have some serious spoilers…beware! After the tower scene I mentioned above, the plot is all downhill from there. There is a big battle between the forces of Light and Dark at the Wardstone. In this battle, John Gregory dies. Strangely, his death is covered in one short paragraph as Tom steps over his fallen body. I get that Tom is in the middle of a battle, but this is a character that Delaney has invested a lot of time in. The scene is so cold and unfeeling that although it is a bit of shock – which might be a stretch due to the amount of foreshadowing that telegraphed it – the effect is that John Gregory’s death is robbed of much of the emotional impact that it should have had. This is where Delaney has made his biggest mistake in this series, in my opinion…when you consider what I mentioned above, the most compelling scenes in this series have been when Tom is alone and up against great odds. Too much of the series has involved deferring to John Gregory and alternate protagonists. John Gregory should have been gone several books ago – the series would have been better for it and his character could have gotten the send-off he deserved. Another hole in the plot involving the big battle has to do with Lukrasta and Alice. I kept expecting them to show up but they were nowhere to be found, except for some fog that caused paralysis before the battle started. Despite being on the side of the Dark, and despite aiding the minions of the fiend before, and despite warning Tom that destroying the Fiend would unleash a greater evil, they did not aid the Dark once the battle began. This made zero sense. Perhaps Alice did not want to face Tom, but at a minimum Lukrasta would have tried to stop him. It seems like a forced plot point to keep Alice and Tom apart. These events led to a bitter and disappointing ending. Alice is still on the side of the Dark, John Gregory is dead, Tom doesn’t see his family again, and although the Fiend is defeated, a greater threat has been created, but the story of The Last Apprentice ends here. In conclusion, despite some compelling storytelling in the first part of the book, it is the shallow and nonsensical characterization, big plot holes, and a largely unresolved ending that brings the series to a disappointing close. Frankly I’m surprised I stuck with The Last Apprentice so long, but I did become invested in the characters, and every now and then it’s great to have a quick, easy read. Unfortunately, reviews of the trilogy sequel, The Starblade Chronicles, point out issues that are similar to what I experienced in Fury of the Seventh Son, and are perhaps even a bit worse, so here is where I will call it quits in the story of Tom Ward, the Seventh Son of a Seventh Son. During the 5 year gap in my reviews of Slither and I Am Alice, a movie was released called Seventh Son that was supposed to be loosely based on this series. The movie was quite terrible and had very little in common with the books, other than the names of the characters. Apparently the dollar signs Delaney saw when optioning his book for the big screen outweighed any creative control he might have exerted in making sure the movie stayed true to the books. Allowing his series to be turned into another forgettable Hollywood dud does not reflect well on the fact that a decent movie might have steered new fans towards his books. And while I can appreciate Delaney wanting to tell stories through different viewpoints, as the two previous stories Grimalkin and Slither have done, I Am Alice feels like a money grab more closely related to the movie than the series itself. The prose and tone of this book are fairly consistent with previous entries. Due to the large text the pages fly by fairly quickly. I have always liked the character of Alice; she’s strong, brave, and loyal to Tom, and a book that focuses on her should be a joy to read, but there are a number of missteps to be found in I Am Alice. Since witches and evil creatures go to the Dark when they die, it gave Delaney a chance to bring all of his villains back for a greatest hits, gauntlet-like run that Alice must endure to find the dagger she needs. It also re-introduces the character of Thorne, Grimalkin’s former apprentice. You could argue either way as to whether seeing these characters again is a good or bad thing – either you enjoy getting to see familiar faces, or are disappointed to revisit more of the same. However, a couple of the villains do not appear in any previous stories. The introduction of these new villains causes Delaney to divert from the present tale by employing flashbacks to fill in Alice’s backstory, and her relationship with these evil beings. The problem for me was that these two flashbacks took up 218 pages of a 432 page book – over 50% of the book is spent going back to the past. The flashbacks are important in establishing Alice’s character, but we are 12 books into the series…does a flashback of this length really need to be done? Shouldn’t this have been done several books ago? It feels a lot like fluff. Another problem is that some of Alice’s problems are solved by deus ex machina. Just when it looks like Alice has no chance of survival, something comes along to turn the tables just in time. The worst instance is during a showdown between Alice, Thorne, and several water witches. Alice and Thorne are saved by skelts, bug-like creatures with long snouts that use those snouts to pierce their victims and drink their blood. The skelts leave Alice and Thorne alone and go after the witches, then guide the two girls to the Fiend’s throne room. This is after some other skelts tried to kill them in another part of the Dark. Why did they save Alice and Thorne? Alice postulates that maybe these skelts are different and don’t want to serve the Fiend. Since the skelts up to this point have been nothing but mindless creatures who are caged by witches and released to drink the blood of victims, this explanation makes no sense. Wait a minute – Delaney just told the reader that none of what they just read matters? Are you kidding me?! Who does that?! It means the only purpose of this story is to get Alice close enough to the Dark so that she can turn into some evil creature in the last book. Talk about a forced plot point! The setting for this story is a land far to the north of the County. It is a cold, harsh land, divided into farming communities as well as the lands of the Kobalos, a hairy, savage, blood-drinking humanoid race with tails. The Kobalos have a large city called Valkarky, where most of them live, but some of them are Haizda mages – outsiders who study magic and rule over their haizdas, a territory often containing humans. Slither is one such Haizda mage; he commands magic, is able to change his size, his breath has magical properties, and his tail warns him of danger. He makes his home inside a tree (through magical means) and his haizda consists of several farms, most of which are terrified of him. There is one farmer that trades with him, however. One day when the farmer has an accident and lays dying, he strikes a deal with Slither – if the creature will deliver his daughters to their aunt and uncle some distance away, Slither may keep the oldest daughter, Nessa, for his own. As Slither agrees and sets off with the girls, the viewpoint switches between Slither and Nessa. Nessa has some great qualities, consisting of bravery, sacrifice, and empathy. Her story is a sad one, however, since she is destined to be a slave. Kobalos must sell a human at auction every so many years, or he will be hunted down and killed, and Nessa will fulfill this obligation for Slither. The younger sisters are more of an annoyance, however, as they constantly whine and cry about their situation, and aren’t really well developed. In fact, there isn’t really any character development here at all, other than Slither’s and Nessa’s. The seemingly innocent journey quickly take a turn for the worse when a snowstorm hits and Slither is forced to keep his charges alive by seeking refuge in the manor of another Kobalos mage. 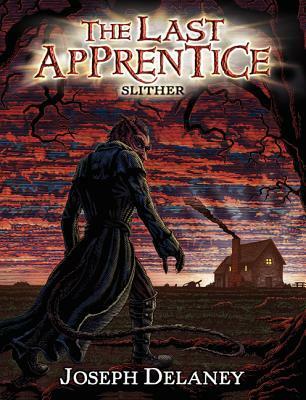 When the mage turns out to be treacherous, Slither is forced to kill several opponents, including a mage-assassin who has the ability to send his dying memories instantly to the assassin’s order back in Valkarky. The assassin’s order vows revenge for the loss of one of their own. What follows is a steady stream of opposition that Slither is forced to overcome to keep his side of the bargain with the farmer. The story has some pretty imaginative elements, from mage assassins and a two thousand year old knight that can’t be defeated, to a grotesque pit creature called the Haggenbrood and centaur-like creature called a hyb. Slither gets deeper and deeper into to trouble, and the main reason for this is surprising: Slither is an honorable creature who keeps to his word. He feels a great obligation to stick to the deal he made with the farmer, often to his own discomfort or risk of life. It’s a good story, and though it is not really frightening, the fantastic elements and change of characters and scenery are enjoyable, unlike the trip to Greece in Clash of the Demons (the sixth book in the series). Delaney goes all out to unleash his imagination with strange creatures and the even stranger culture of the Kobalos. One problem I did have with the story was that it did not seem that Slither was consistent with his people’s culture…where he is lenient and honorable, most of his people, including their rulers, are cruel and treacherous. Now maybe Slither’s years away from his people have changed him, but even when he is consistently betrayed by them, he stubbornly sticks to complying with their cultural norms and customs, putting himself at a disadvantage. 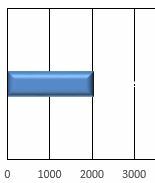 This is only a minor annoyance, however. The appearance of Grimalkin, still carrying the fiend’s head and looking for something specific, was a pleasant surprise, and her character is fleshed out even more with qualities I would not have expected of her. So despite the negative reviews I had observed, I actually enjoyed reading Slither. I know some people won’t appreciate the deviation from the main story line, but to me it’s not a stalling tactic or a money grab – it’s a good enough story, and looks like it’s important to explain what’s happening with Grimalkin. It will be interesting to see whether some of the characters specific to this book will make an appearance again sometime in the future. The book is a quick read, with a large font and smaller page size (consistent with the rest of the series), and copious amounts of action. The book also contains a lengthy poem at the end and a Kobalos glossary. Recommended for fans of the series that don’t mind a change of scenery (and characters) once in a while. While Alice and Grimalkin had their own adventure in the last story, we now follow the actions of Tom and the Spook. Tom is now about 16 years old and has been apprenticed for 4 years. While the Spook’s house is being built (it was destroyed several books ago), he receives an offer from a woman across the county. This woman is in possession of a large number of books, and offers to sell some to the Spook in order to rebuild his library. This message is delivered by another former apprentice named Judd Brinscall, a character that has not been previously introduced. (Note: I found it surprising that another former apprentice still existed, and wondered if there were more.) Tom and the Spook set off for the sleepy village of Todmorden to meet with the woman and see which books they might acquire. The villagers are unfriendly and keep to themselves, warning Tom and the Spook to stay away from the foreigners on the other side of the river. Tom and the Spook meet with Mistress Fresque and examine the books. After Tom leaves to hire a cart to haul the books, the situation quickly deteriorates as the Spook goes missing and Tom must face down Romanian witches, strigoi (Romanian vampires/demons), and moroi (a spirit that possesses animals). Tom’s greatest challenge, however, is to prevent Siscoi, an old vampire god, from taking mortal form and terrorizing the countryside. At the same time, Tom learns more about his mother’s mysterious past and her plans for Tom and his abilities. There are a lot of similarities between this book and previous books. Tom must make multiple attempts to defeat the strigoi, and fortunately does not get captured over and over as in some previous books; instead, he is forced to retreat and try different tactics. Although this has been a staple of the series and gets tiring at times, it also has consistently defined Tom’s spirit and willpower. Although Tom frequently meets with failure, his determination, persistence, and willpower carry him through. Grimalkin and Alice feature prominently in the last half of the story, and Alice is using dark magic more and more. A subplot involves Alice’s turn towards the dark, as well as the preparations for the ritual that will be required to destroy the Fiend. It’s also a transitional book, as we are given many hints that the Spook will be out of the picture and Tom will become his replacement. Due to the smallish book size (it’s smaller than a normal hard cover) and large font, the reading time is shorter than books with a comparable number of pages. Another aspect that shortens the required reading time is that the pace of the story is quick, with lots of action being the most prominent feature, as it has been in previous books. Once again you won’t find a lot of character depth, but at the same time the story never bogs down in the details. There were a few instances where I thought I had discovered plot holes (such as why some strigoi offered Tom protection instead of killing him), but it is the main plot arc – the Fiend attempting to return to his body and rule the world – that explains these moments. Knowing events and explanations in previous books are key to understanding and answering these types of questions. In conclusion I found the first half of the book to be tense and compelling, while the second half was action-packed but not quite as tense due to the arrival of Tom’s allies. It’s another solid entry in the series, and I’m looking forward to the next book, as it looks like Tom will be increasingly on his own – which makes for a great story. Recommended for those who have followed the series, enjoy well-written and action-packed YA, and a mix of horror and fantasy. Although the book could stand on its own, the characters and main plot arc (destroying the Fiend) could cause confusion…instead, for readers new to the series, I recommend starting with the first book, Revenge of the Witch (called The Spook’s Apprentice in the UK) instead. This is the first book in the series where the point of view is from a character other than Tom Ward, the Spook apprentice. This is due to the fact that at the end of Rage of the Fallen, the story splits into two arcs: the Spook and Tom are trying to research how to destroy the Fiend, while Grimalkin has the Fiend’s head and tries to keep the pursuing forces away from Tom to buy him some time. The story follows the witch assassin as she tries to stay ahead of the masses of forces pursuing her – they want to reclaim the Fiend’s head, which can then be re-attached to his body, allowing his followers to re-animate him. 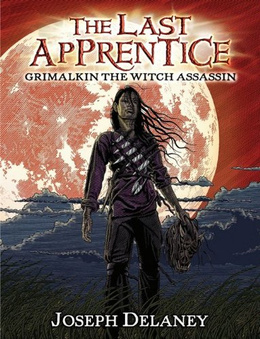 Grimalkin is aided by several supporting characters: Thorne, Grimalkin’s apprentice; the lamia witches that are Tom’s aunts; Alice’s aunt, Agnes; a knight in a castle; and Alice herself. The help is sorely needed, as the pursuers consist of almost 100 witches, a dark mage, and an abhuman beast called the Kretch, a giant wolf-like creature. I was slightly disappointed at the way Grimalkin’s character was presented in the story. There is a little blurb at the beginning of each chapter that gives the reader insight into Grimalkin’s thought process and character, and during the story the reader is also presented with Grimalkin’s backstory and her thoughts on the dangers she faced. However, other than dismay at her deteriorating condition, a poignant moment of loss and a sequence of cold vengeance, I didn’t get a good feeling for what Grimalkin felt. In other words, I often knew what Grimalkin was thinking, but not what she was feeling. In my opinion, Delaney missed a prime opportunity to really develop Grimalkin into something special, instead sacrificing depth for action sequences. Now I should say that this has been normal through the series, and Delaney is being consistent; also, this is a YA novel, so we’re not going to get Wheel of Time character profiles. I just wished for a little more personality for my favorite character. Ultimately, this is a story about mortality: Grimalkin accepts that she may not have much time left. She deals with the effects of the poison: slower reflexes, bouts of weakness, blackouts, and depletion of her strength and magic. To her, it becomes imperative that Thorne assumes her responsibilities, and Grimalkin tries to instill something in Thorne…well, we can’t call it goodness, but maybe a good word to use instead would be a conscience. Grimalkin doesn’t kill for fun; she kills for a purpose, and she feels the loss of those who make sacrifices on her behalf. Unlike most witches, she seems to have some kind of conscience, and is not totally evil. In fact, her motivation for destroying the Fiend is quite believable, because the Fiend killed her baby. Also, where tradition has had challengers fight the witch assassin and either lose and perish, or win and assume the title, Grimalkin intends to change that by stepping aside when her apprentice is ready. She doesn’t want to fight and kill Thorne, she wants her apprentice to succeed. So though her motivation is to destroy the Fiend, she has another – to see Thorne, who she cares about, step into her shoes. One more minor complaint I have is the use of Alice as a Deus Ex Machina…suddenly Alice has become an extremely powerful witch, almost overnight and out of nowhere. We know she is the daughter of the Fiend, and as a result has some power, but suddenly she is able to do things she couldn’t do before, including a healing that her aunt, a witch who had practiced healing all her life, couldn’t do. In conclusion, Delaney has given me what I asked for: more of Grimalkin. While I would have liked to see her fleshed out more, rather than simply moving from one battle to the next, I did find the story interesting. As an action book it succeeds, but on an emotional level it falls a bit short. Recommended for fans of the series, especially those who really like Grimalkin’s character, but not to the casual reader who hasn’t read any of the previous books. Rise of the Huntress is the 7th book in The Last Apprentice series. After reading the 6th book, Clash of the Demons, I was left with a negative impression of the direction the series was taking. You can find a link to my review of that book in the sidebar. I wasn’t ready to abandon The Last Apprentice series yet, so I was anxiously looking forward to Rise of the Huntress, hoping the series would return to its roots. Was it successful? The results are mixed. Let’s look at what’s going on with this story (minor spoilers to follow). Thomas Ward, his friend Alice, and the Spook have returned home to the County from Greece after a devastating fight. Things immediately go from bad to worse when another country’s enemy forces occupy the County, and Tom, Alice, and the Spook are forced to flee to the isle of Mona. On Mona they encounter a buggane, a hideous and evil creature that can take multiple forms and is controlled by a shaman. In addition, an old adversary arrives from the County to make a grab at power. And all the while, soldiers on Mona are rounding up refugees to send them back to the County, while others do the bidding of the shaman. With all these factions for Tom and the Spook to battle, the story moves rather briskly. There is a minimal description of the environments in Mona, and characters aren’t really well developed. In fact, some of the characters do things that just don’t make sense. The witch has Tom and the Spook dead to rights more than once, but leaves them alive so that they will suffer a slow and painful death. Time after time it is shown the witch can kill with a spell, but she never uses it on her greatest adversaries, even though they constantly challenge her power. There’s another scene where Tom and the abhuman named Horn are chained up in the dungeon. Horn snarls at Tom and treats him as an enemy; yet, during their previous encounter, Horn helped Tom and the Spook escape the lair of the buggane because Horn wants the witch dead. It’s unclear how Tom and Horn went from being allies to enemies, and no explanation is offered. Horn also had the power to escape but didn’t use it. Why? Little inconsistencies like this plague the story from time to time. Tom is a likable enough main character, but my main criticism is that he hasn’t changed much since the first book. He’s got more experience, he’s dealt with painful loss, he’s bargained with the Devil, but he doesn’t seem much different. His “ability” comes and goes, and is ineffective in this book, when it was a deus ex machina in other books. As the seventh son of a seventh son he’s supposed to be able to withstand the dark, but for most of the book he seems to be frozen by spells and unable to act. Despite the fact that we are seven books in the series, he still seems woefully ill-equipped to fight the dark. The biggest problem with Rise of the Huntress, however, is the repetitive nature of the plot. Tom gets captured, then Tom escapes. Tom is captured again, then Tom escapes again. Then the Spook is captured, and Tom helps the Spook escape. Then Tom is captured again…you get the idea. I counted 5 times that Tom was captured, and an additional capturing of the Spook makes six events that involve captures and escapes. It grows rather tiresome as characters plunge recklessly into danger, with poorly-made plans, and are captured over and over. Rise of the Huntress is an improvement over Clash of the Demons. It has less traveling and more action, and goes back to the original feel and appeal of the series. There still aren’t any heart-pounding or really scary moments like there have been in the past, and I wonder if Delaney has lost the ability to generate such moments. The title of the book is ambiguous…Huntress is a poor choice to describe the enemy. There is also the fact that the book is plagued by several glaring issues. Still, Delaney has taken a step in the right direction, and I’ve ordered the eighth book in the series, Rage of the Fallen, to see what happens next, although my patience is wearing thin.